With April just beginning, it’s time to start thinking about Easter! We love to think outside the box here at Step2, so this year we decided to go BIG. Why settle on a regular sized Easter basket when you can have a giant Easter basket?! That’s right, we decided to turn one of our favorite water tables into a larger than life Easter basket. 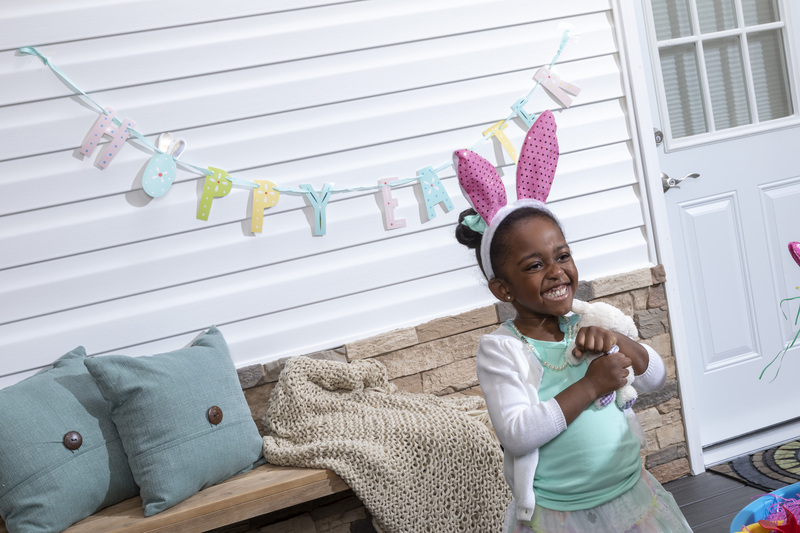 Not only does your little one get a bigger basket, but the basket can also double as a fun gift that’s perfect for the upcoming warm weather. Ready to turn your current (or new!) water table into a giant Easter basket? Here are our tips to help make yours come to life. Plus, make sure to read till the end to find out how you can win your very own Rain Showers Splash Pond Water Table! 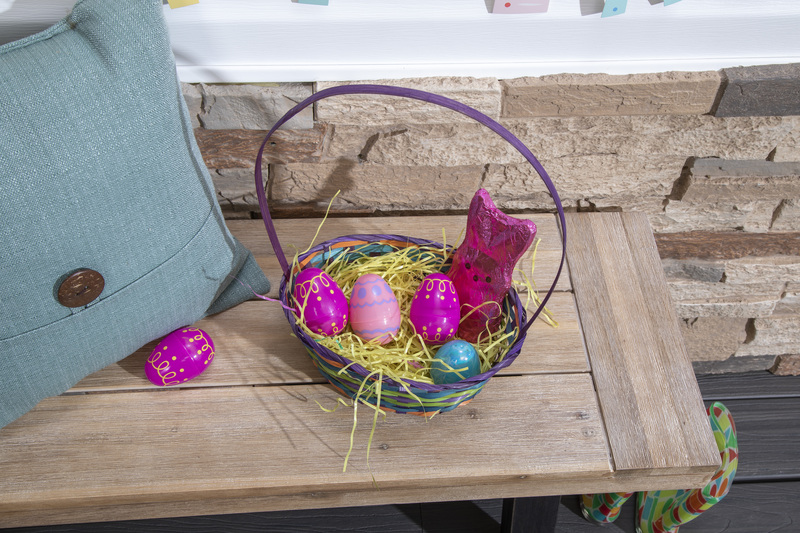 Can you really have an Easter basket without some colorful Easter grass? Fill the base of your water table with plenty of grass to get started. You can use any combination of colors that you’d like so the possibilities are endless. The grass is a great base layer for baskets since it gives a cushion for the other items. Easter baskets aren’t complete without eggs! You can fill your eggs with an array of trinkets that are tailored to your little one’s likes. We filled ours with our favorite jelly beans and toasted honey oats cereal so we had some variety for the snacks. Other egg fillers can include fruit snacks, chocolate, bouncy balls, stickers, or even fun temporary tattoos. You can fill the rest of your basket with whatever you think your child would like best. We took a trip to a local store and couldn’t resist some of the adorable stuffed animals. We also wanted to encourage play and screen-free time, so we loaded our water table basket with fun outdoor alternatives like bubbles and a kid-sized gardening tool set. If you’ve already turned your water table into a basket, we want to see it! Make sure to drop us comment below with your picture or post it and tag us on social media. Don’t have a water table just yet? Enter to win a brand new Rain Showers Splash Pond Water Table just in time for Easter! One winner will be selected and announced publicly on 4/10/19 via Step2 Social Media pages and contacted via email. Winner will receive a Step2 Rain Showers Splash Pond Water Table. Entries are open to residents of the 48 Contiguous United States and District of Columbia on 4/2/19 10:01 AM ET through 4/9/2019 11:59 PM ET. This contest is facilitated by The Step2 Company, LLC. is not responsible for technical errors, the contest is not sponsored, endorsed or administered by, or associated with, Facebook, Twitter or Instagram.